I hope you all had a good Halloween weekend. If you follow me on Instagram, you know that we had some pretty awesome costumes this year. You may think that I'm the creative one and therefore came up with the idea or executed it, but actually I had very little to do with it. For some reason Halloween doesn't really inspire me. Graham came up with the idea of going as Pac-man a few weeks ago, and started talking about costume construction, and how he needed to go shopping at the fiberglass store and had downloaded some programs to help him design the costume. That totally terrified me, as he wanted me to go as Mrs Pac-man; his reassurance that the costume would be comfortable and practical was far from convincing me. I declared that I would go as the maze, and then nothing happened for a while, or more specifically until 7pm on October 30th. At that time, it became clear that procrastinating was no longer an option, and Graham started drawing the maze on my black long sleeve shirt, and I started taping blue electric tape over it. I added white dots and a ghost, because... well it was a must, and Graham ended up leaving for our friend's place for further construction of his costume. Turns out our friends fully embraced our theme, and made the most amazing Pac-man fruit costumes, with felt, totally looking like they were made of large pixels. I thought they were awesome, until they blew my mind by dropping the fruits, showing the number of points collected. Best group costumes ever. Except maybe for Graham's challenging time going through doorways and climbing flights of stairs. On Saturday morning, as if on cue for November 1st, you could definitely feel the winter air, and Graham and I decided that hibernating should be our next goal. We cooked some comforting Mexican food, but instead of staying in, we were enticed to leave our cozy home for some good company and the promise of triple layer chocolate cake with salted caramel buttercream frosting, which was made for a very special occasion. If you think that it looks delicious, think again. It was at least 10 times better than you can imagine, and I may have had two slices. We had a lovely evening, with cake, whiskey and the bestest of friends. The extra hour of sleep on Sunday morning, in addition to the facts that Noodle isn't a morning dog and that I got called off for my shift that day, meant that we were able to enjoy sleeping in, and we did. When we finally emerged from under the duvet, my muscles were so sore from working out that I decided that the only solution was to sign up for another class at my favourite studio, which then gave me the perfect excuse to spend the next 4 hours knitting and watching Gilmore girls. 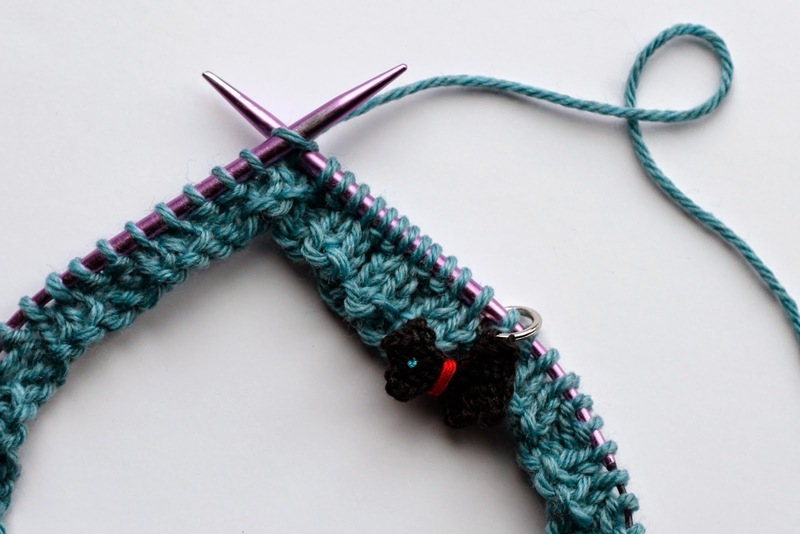 This perfect weekend was topped up by spending the evening over at a friend's house, teaching her to knit and cuddling with her lovely kittens. 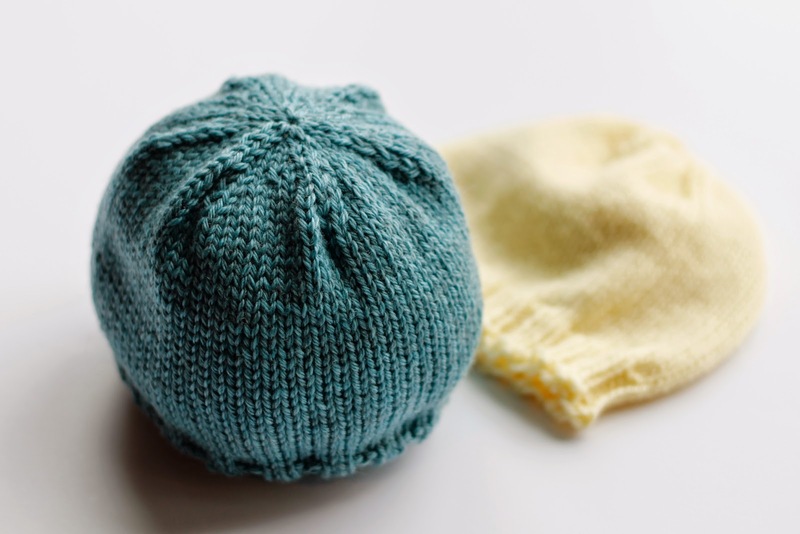 Over the next few weeks, I'm planning on sharing with you adorable baby knits, which I have been making for two friends who are expecting in a few weeks. 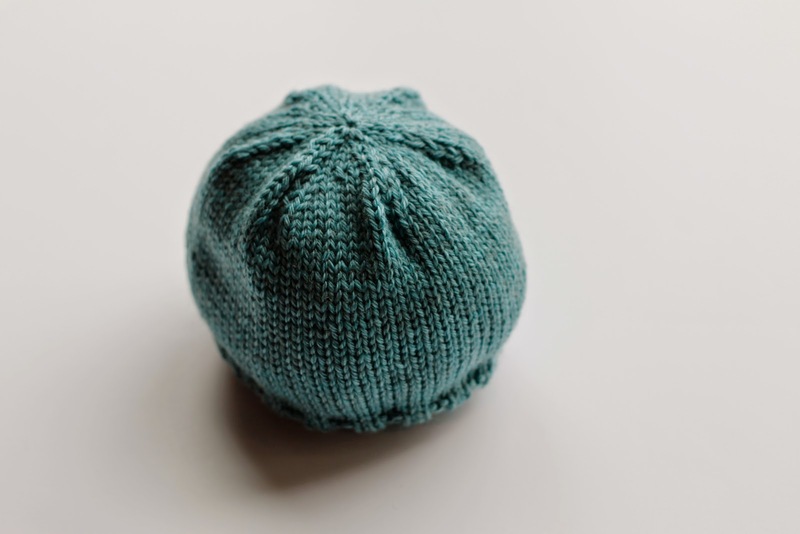 I started off with this super simple baby hat, the kind of basic hat that will match any outfit, in really soft superwash merino wool, because no new mommy will hand wash handmade knits. Or at least I highly doubt it. 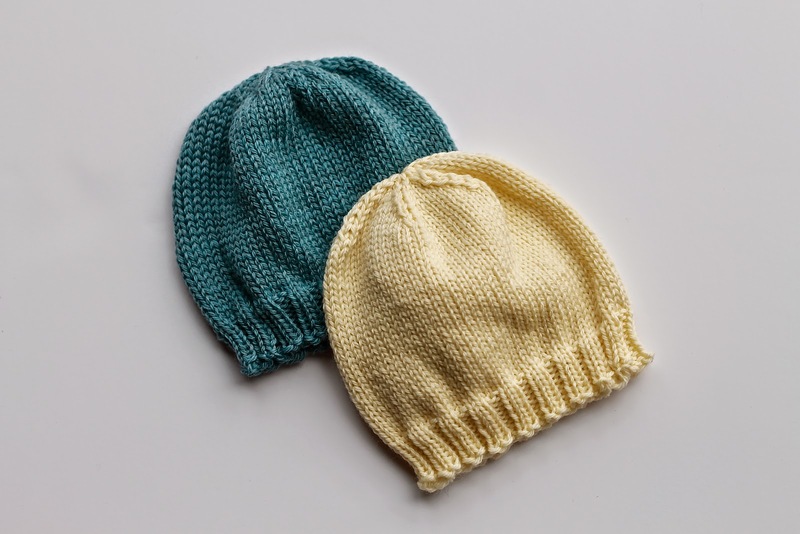 I followed the Basic Baby Hat by Heather Tucker, with the only derogation of using a size smaller needles for the ribbed brim. 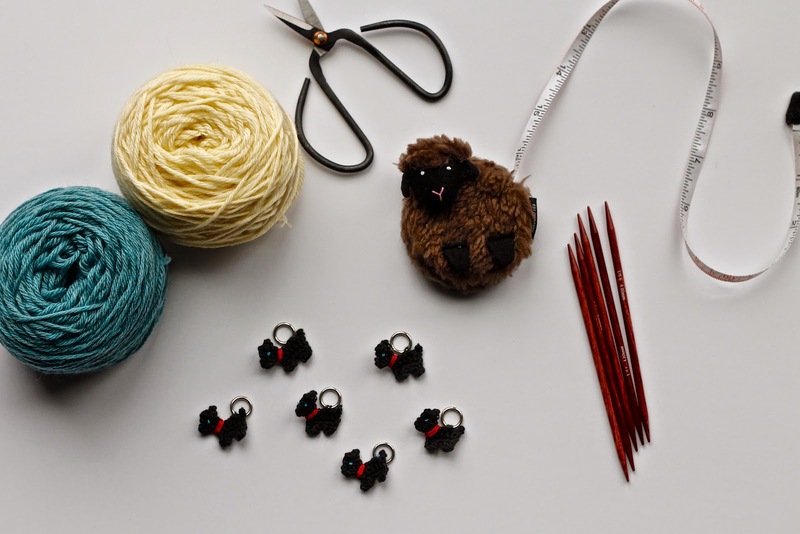 I used Cascade 220 Superwash Sport, 100% machine washable merino wool, and finally got to use my cute sheep tape measurer and puppy stitch markers.